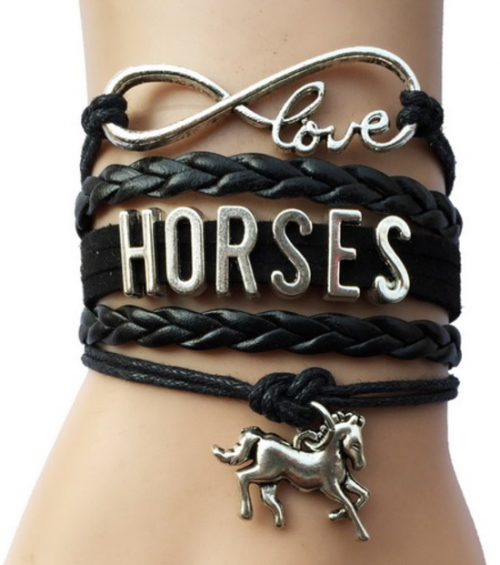 These custom designed Infinity Love Horses Bracelets are a MUST HAVE! Designed with high-quality premium material! Show your love for your horse with this bohemian style wrap bracelet. Inscribed with "Love Horses" in metal with a small horse charm. Available in 3 colors - Black, Brown, and Blue.